Do you like cannabis Concentrates? Do you want Premium customer service Online? You're in the right place! Marijuana Strains Store is one of the best sources for a large variety of top-shelf, top quality Marijuana Wax, Shatter and Dabs. Discover our selection of weed wax and shatter for sale in USA and worldwide. Concentrates are marijuana products comprised of concentrated THC (tetrahydrocannabinol) and/or CBD (cannabidiol) extracts derived from the cannabis plant. The solvent, the level of terpenes, and the process used to create the final product determine its characteristics. Types of cannabis concentrates include shatter And wax commonly referred to Dabs. That's a huge difference! Concentrates are three to four times more potent than regular buds that are smoked or ingested. Think about how high you got last time you smoked your favorite strain of Girl Scout Cookies or Og Kush. Now multiply that high by four and you can quickly see why the difference in potency is so important. In fact, the extreme potency was the reason this new process was given the name dabbing. Here We Will Talk About 2 categories of cannabis concentrates: Shatter and Wax. While the two categories each have their own defining characteristics, potency levels, and types, they are all high-potency forms of cannabis. So, what are the differences between the two? 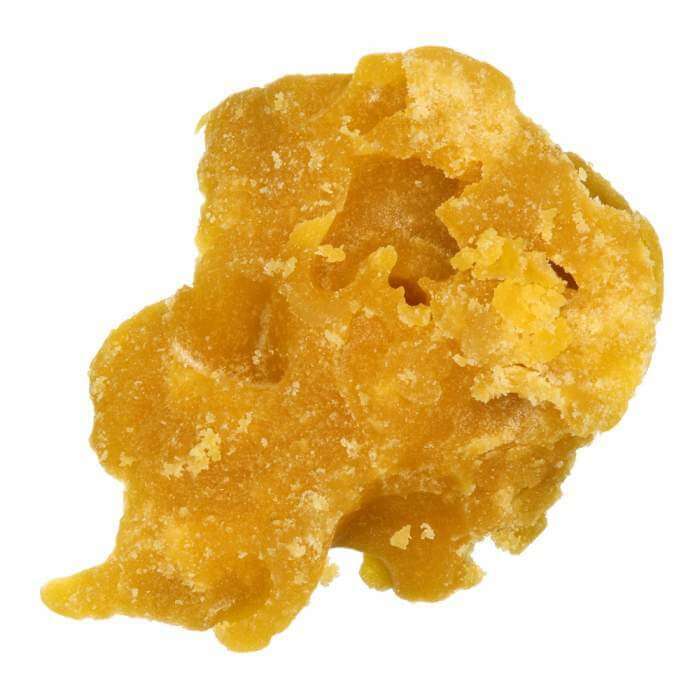 - Budder: A gooey wax form that has more moisture and is runnier than other concentrates. It is created by whipping the extract while purging it. The whipping effect adds air to the extract, which turns it into a solid upon cooling. Budder is the smoothest and creamiest of the waxes. 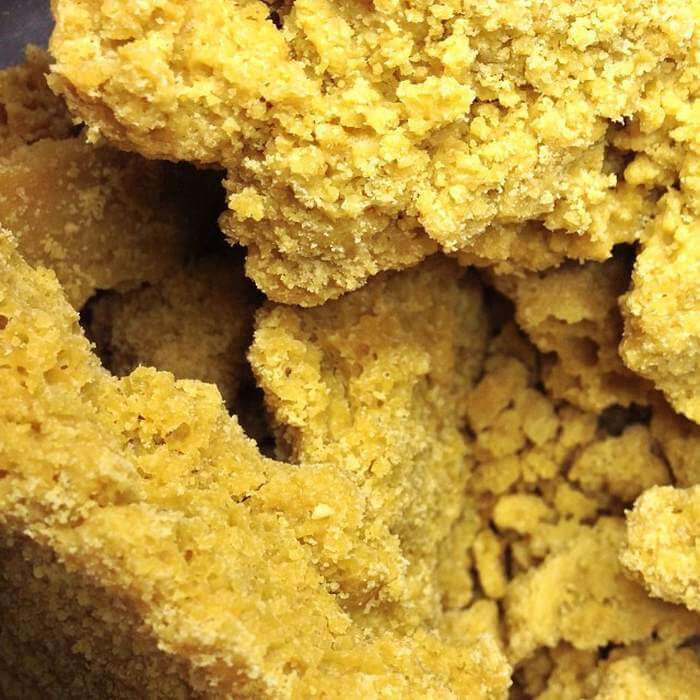 - Crumble and honeycomb: Wax with a soft, yet brittle, texture. 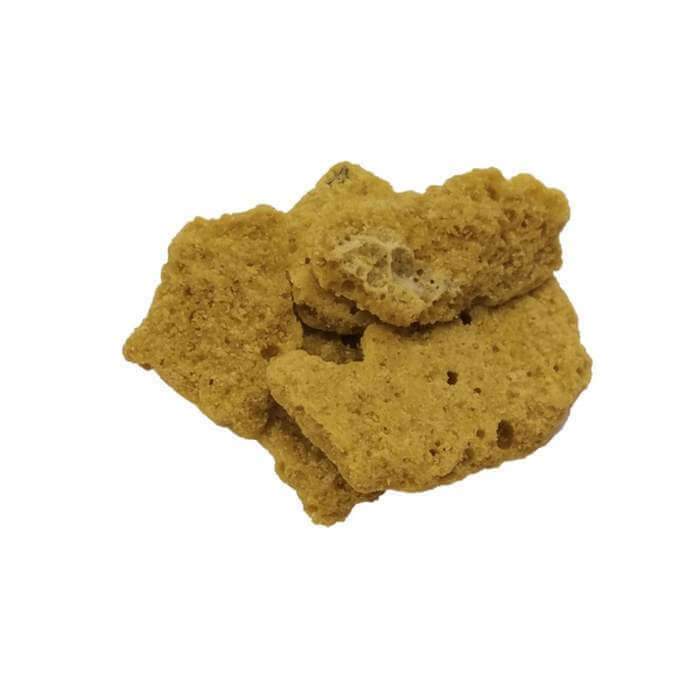 - Sugar crumble: Known for its crystallized surface and crumbly texture, sugar crumble is easy to handle because it is not very sticky. 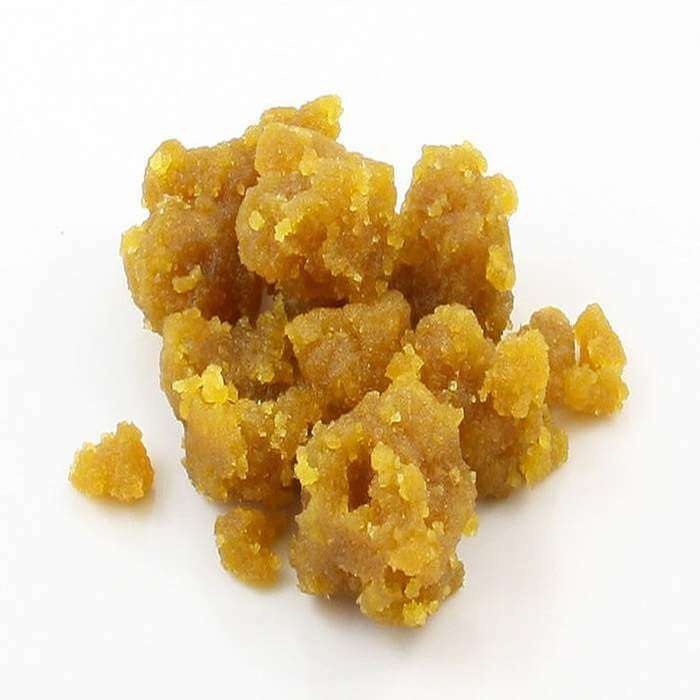 - Wax crumble: Similar to sugar crumble, but with a smoother surface. Wax crumble is not sticky, and it's creamier than sugar crumble. Any amount of agitation or whipping during the purge process eliminates the extract's transparency, which means that a wax is the ultimate result. Along with the level of agitation applied during the purge process, the temperature used is another factor that determines whether you end up with a shatter or a wax. The term purge refers to the process of using heat and agitation to eliminate solvents from the cannabis concentrate so that the product is safe for consumption. 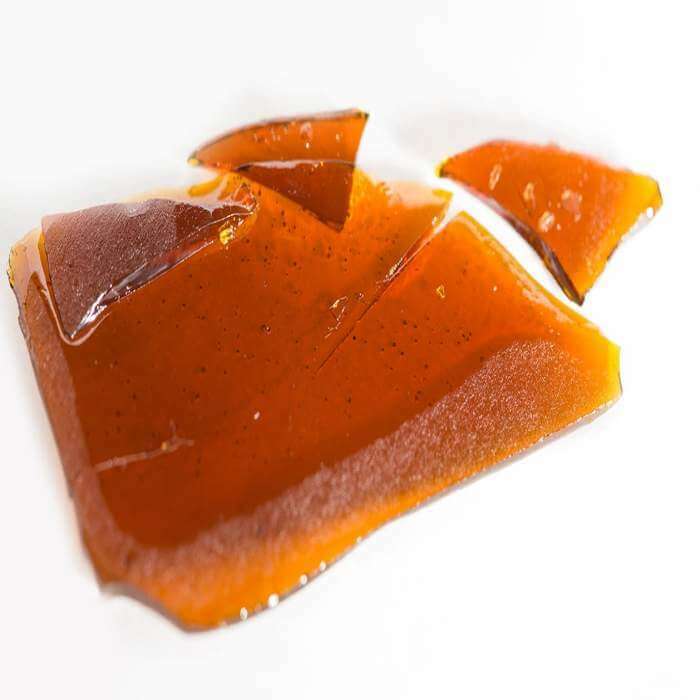 The cannabis concentrate known as shatter has a transparent, amber appearance that looks glassy when cold, but more like thick honey when warm. Shatter is sometimes compared to honey in its color as well. The level of transparency and richness of color vary based on certain factors, such as the amount of moisture and heat used during the process. Also, the liquidity of the product increases as the percentage of terpenes (the fragrant oils that give different cannabis varieties their varying aromatics) increase. 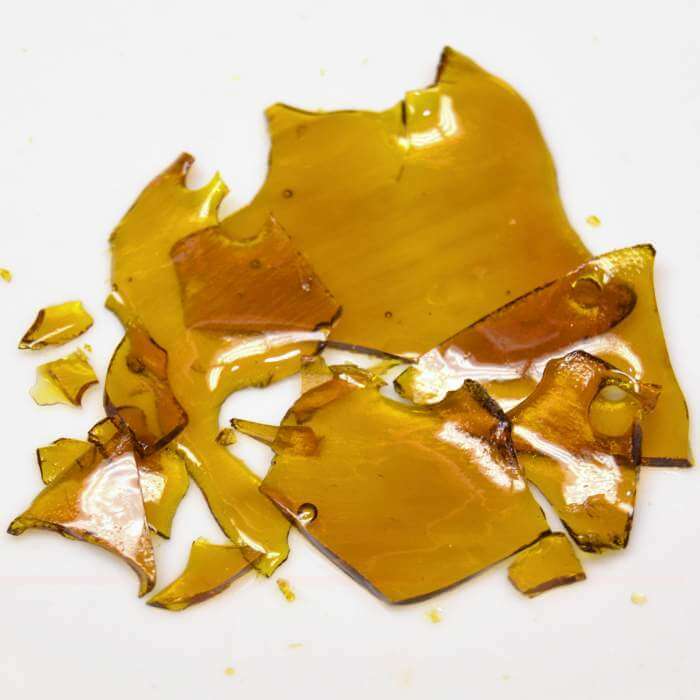 Weed Shatter is referred to as very stable and glass like concentrates that more than likely will break into many pieces when dropped on a hard surface. Some shatter has some adhesive properties to it, while other kinds will be smooth to the touch. In order to get some onto your nail, either drop it in with your fingers, or heat your dabber a little with a lighter to cause the extracts to melt to the tool. A lot of people try to find shatter because it is thought to be the purest substance. Wrap your shatter in parchment paper to store and move it. 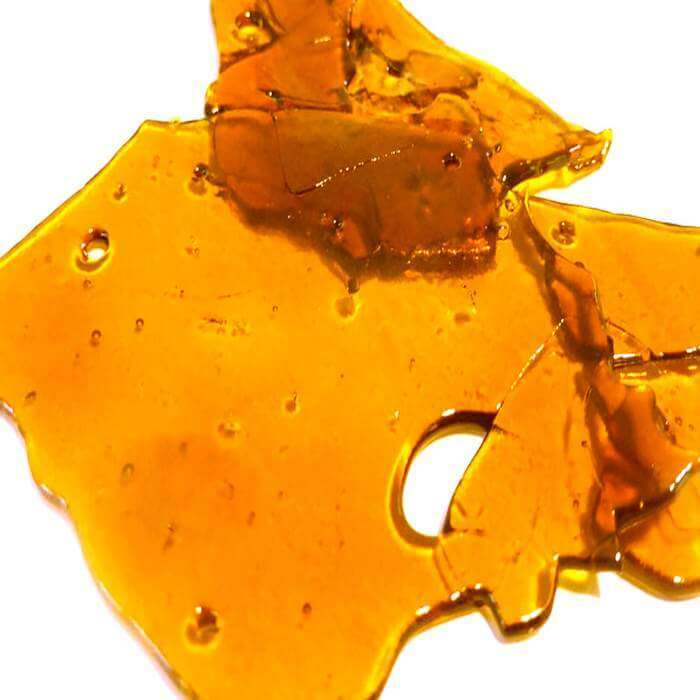 Shatter is often consumed through the dabbing or vaporizing process, although smoking it mixed with marijuana flower is also possible. Shatter is the most potent of all concentrates, but since it is slightly unstable, over time it changes into budder. 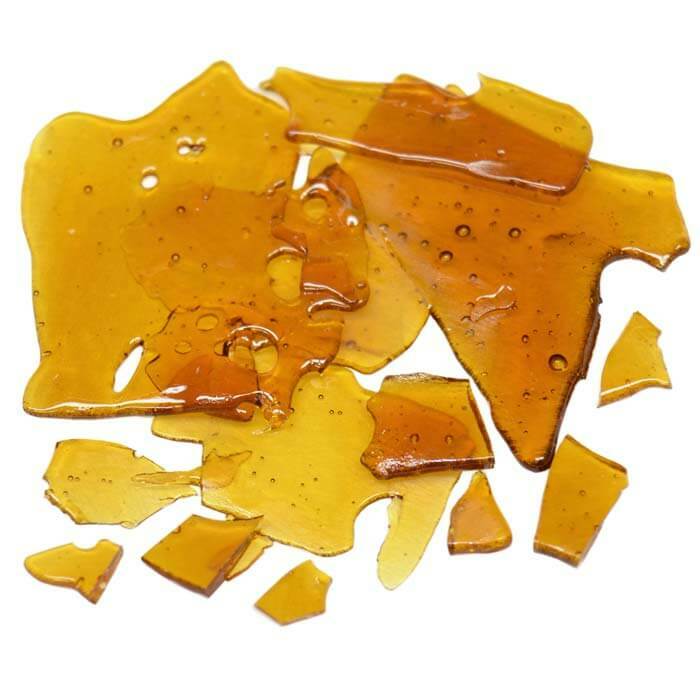 Dabs also known as butane hash oil (BHO), honey oil, budder, shatter, and wax is a highly concentrated extract of marijuana's psychoactive ingredient tetrahydrocannabidiol, or THC. It is thick gummy, and brownish-green, and looks like hot candle wax that's been spilled onto a piece of paper and left to dry. When smoked through a modified bong (water pipe), it induces an instantaneous, powerful high that some users have described as being like the first time they smoked weed. How to Consume Cannabis Concentrates? The easiest and least expensive way to smoke concentrate is by adding little bits of it to the marijuana flower that you're smoking in a joint, blunt, marijuana pipe, or bong. No additional equipment is necessary. However, concentrate's unique taste may not shine through by using this method, although the high will still be stronger than when smoking flower alone. If adding shatter or wax to a pipe or bong, place a bit of ground marijuana in first, followed by a small layer of concentrate, and then top it off with a bit more ground marijuana. That way, the flame does not directly touch the concwntrate, and it prevents the THC from burning off before it enters your lungs. If adding concentrate to a joint or blunt, keep the shatter or wax away from the ends to prevent the direct flame from coming into contact with it. For those new to vaping, not all vaporizers work with all products. So, if vaping is your preferred method, make sure that the vaporizer you buy is compatible with concentrate . Smoking concentrate using a compatible vaporizer allows you to taste the concentrate 's pure flavor, while an incompatible vaporizer may not function with concentrate at all. Also, compatible, poor-quality vaporizers deliver poor-quality hits and a lesser flavor. So, be prepared to spend more for a high-quality wax vaporizer. The dabbing process involves specialized equipment that is available at many smoke shops. The concentrate is placed on a pre-heated surface called a nail. The user then inhales the vapors through a specialized pipe called a rig. Extra caution is necessary, as the nail is heated between 550° and 750° Fahrenheit. Additionally, either a blowtorch or an e-nail (electronic control) is used as the heat source. Dabbing is also considerably more expensive than other Concentrates-smoking methods.